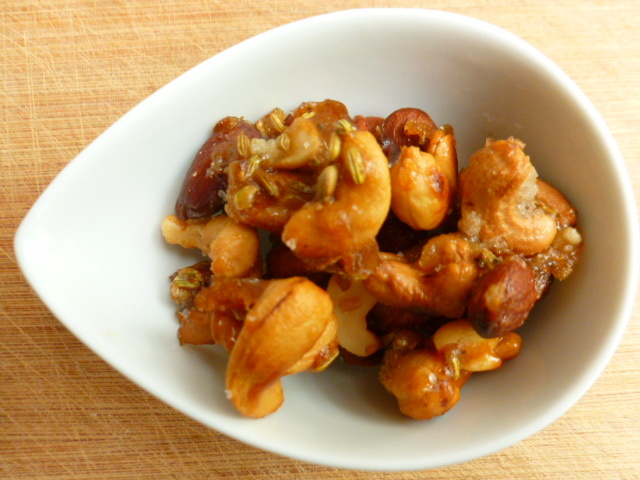 Fragrant, crunchy, sweet and lightly salted caramelized nuts, are no doubt the ultimate nibble. They are perfect for serving with drinks, as a part of a cheese board, or even as a tasty topping for salads. Alas, most of the store-bought ones are usually quite disappointing, so the best way to enjoy them fully is to make them at home. 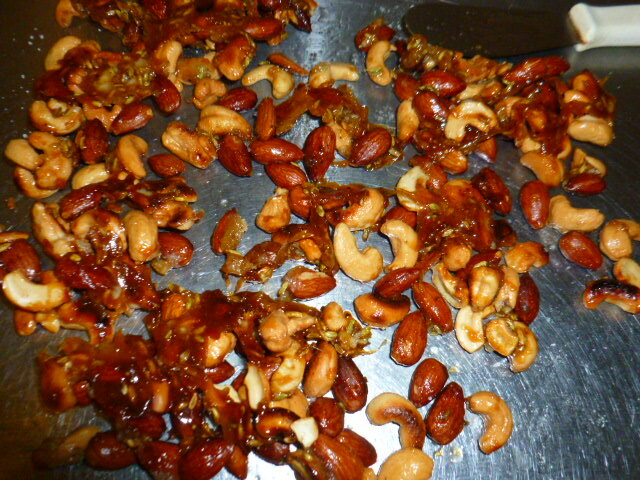 There are several ways to prepare them, but the method I usually chose is the quick and straight-forward one shown here. 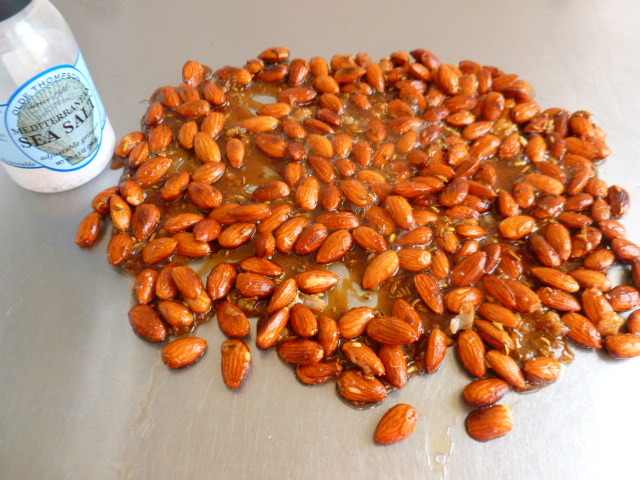 The down side to this method is that the caramel can burn fairly quickly, so careful attention, and constant stirring, are required. 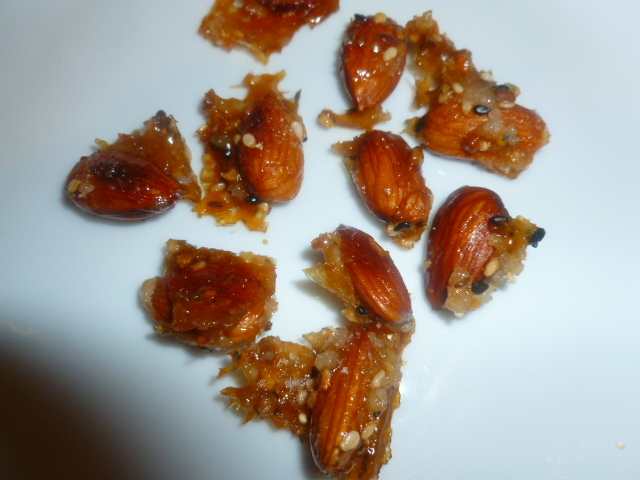 The result is these fragrant and tasty caramelized nuts, which tend to disappear very quickly. Try them and enjoy. * If this is your first time making caramel, be extra careful, as the caramel is extremely hot and can cause severe burns. 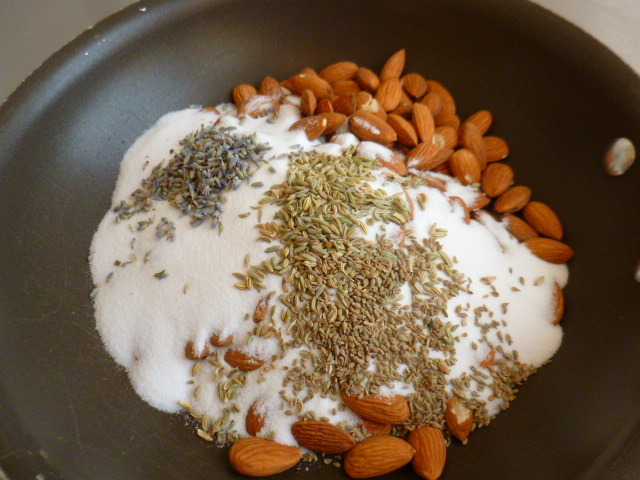 * Different nuts and spices, can be used instead of the almonds and spices shown here. 1. 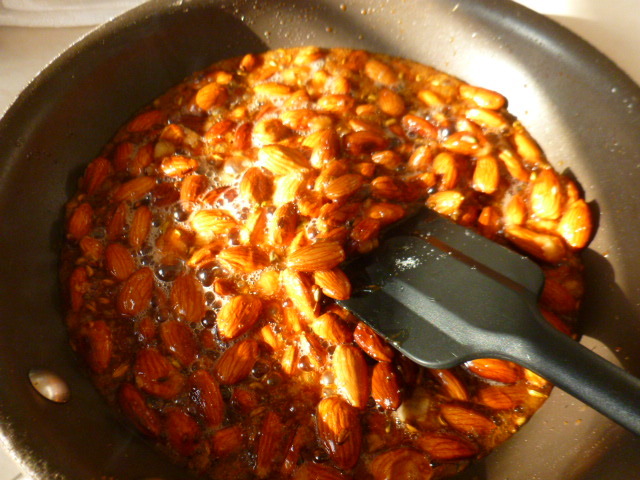 In a large non stick pan, mix the almonds, sugar, spices, hot sauce and butter. Place on medium-high heat and mix with a heatproof spatula. 2. Keep cooking and mixing for about 5-7 minutes. 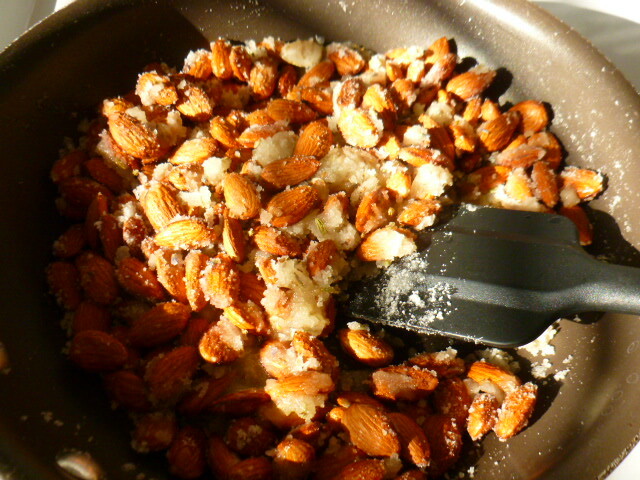 At first the sugar will look grainy, but gradually it will melt. This is when you want to stir it even more (remember to protect your hands), and make sure all the sugar is melted, and bubbles start to appear. 3. Once the sugar looks like a thick, amber color syrup, transfer the mixture onto a metal or marble work surface, and spread it with the spatula. 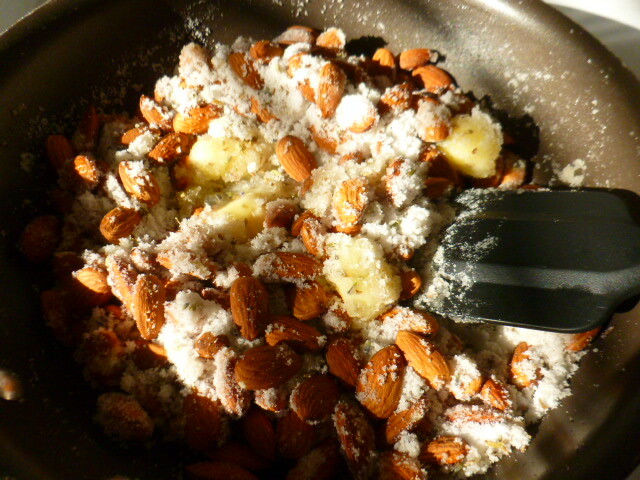 Sprinkle the salt on top, while the mixture is still hot. 4. Let cool and harden before breaking into smaller pieces. Store in an airtight container, in a dry cool place, for up to two weeks. 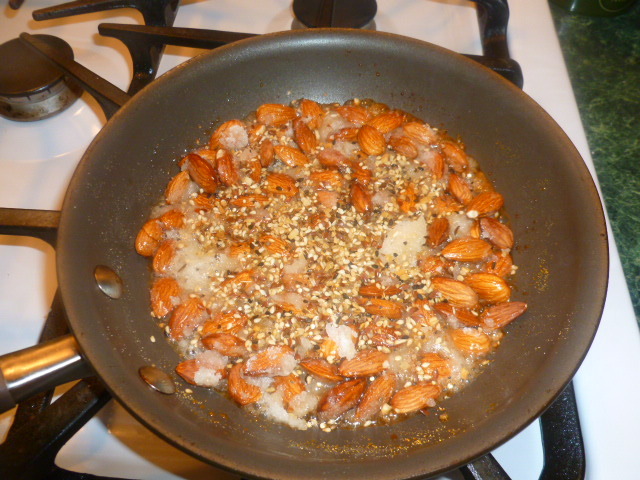 Almonds as above, but with “everything but the bagel” seasoning (dried garlic, dried onion, black and white sesame seeds, poppy seeds and salt). 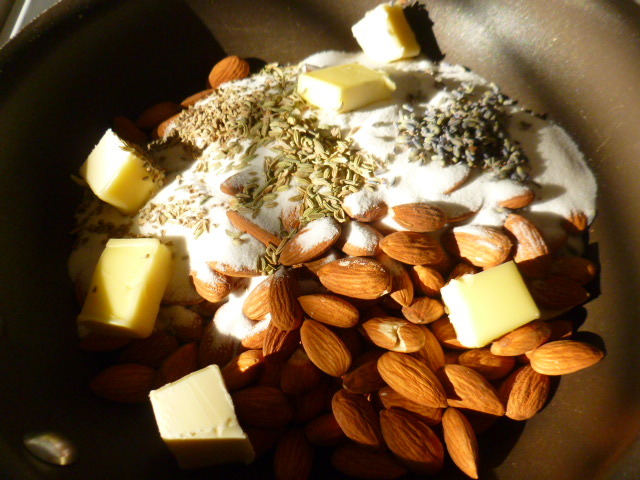 A mix of almonds and cashews, with the same spices used above. Fabulousness! I love the butter, sugar, and hot sauce combination! Can’t wait to make them! Happy New Year! What a great treat! 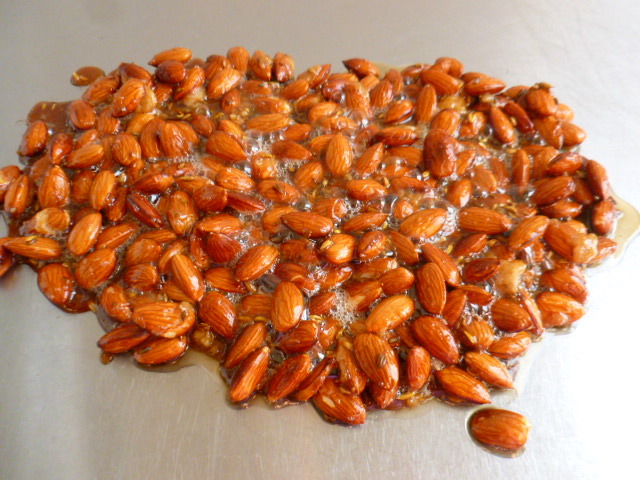 Almonds are so good for us! Welcome! I’m sure it is a healthy treat! Those sound fabulous, Ronit! Happy New Year! 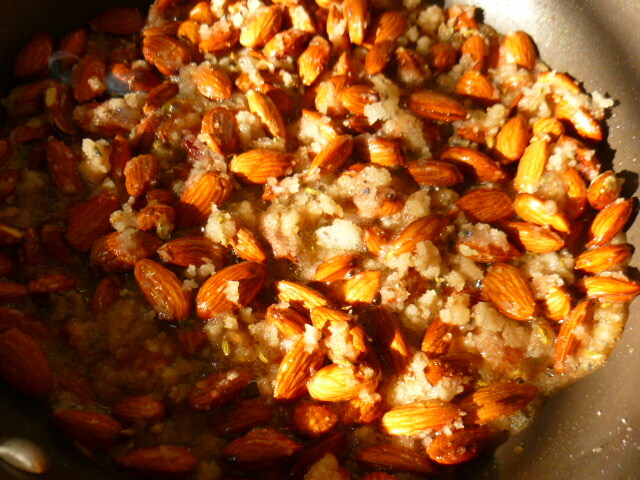 Like the seasonings you have added to the almonds, very different from what I’ve used in the past. Can’t wait to try your tasty version. Happy New Year! These look great! I’ll have to give them a try! Happy New Years Ronit! I can almost smell these. 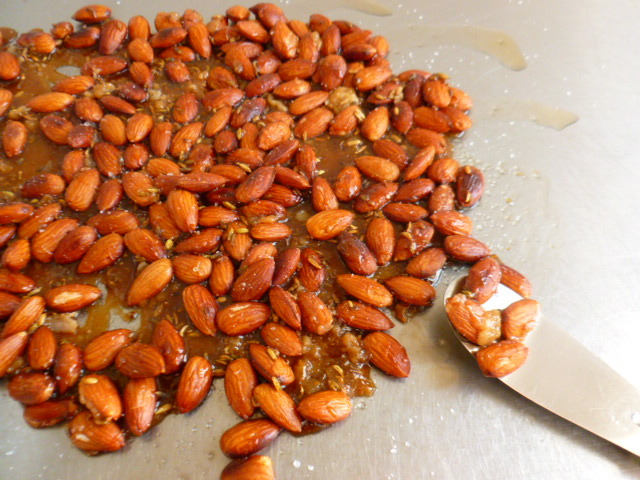 What a lovely combination of flavors and one sure to please those who are eating your caramelized almonds. Thank you Ron, I’m glad you liked the recipe. It’s always a big hit and the aroma in the kitchen while preparing is indeed so wonderful. 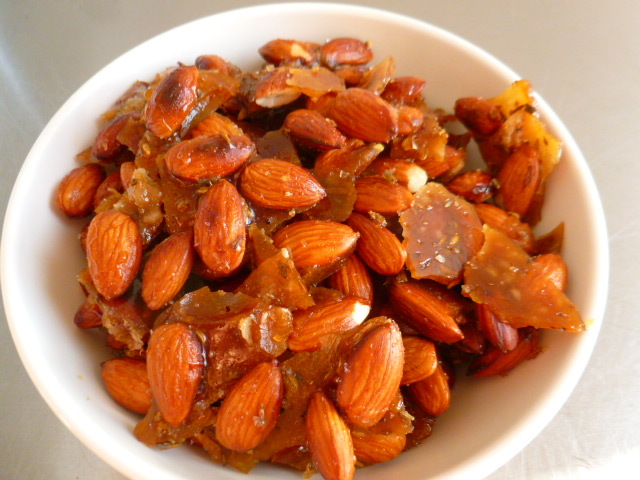 Perfect snack and a great way to deal with sweet cravings too. Wishing you a very happy new year. 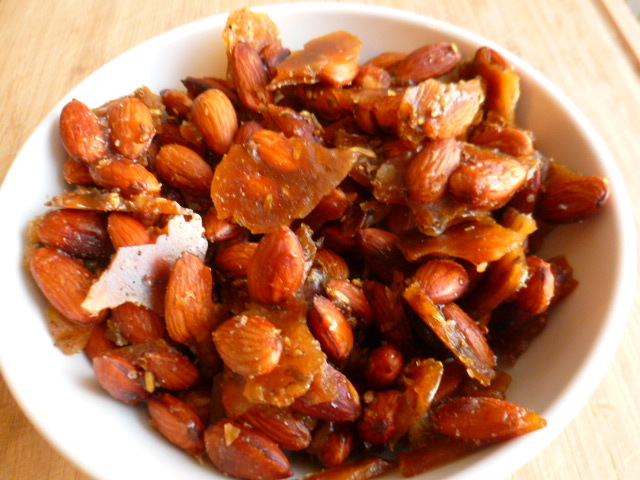 Love these guilt-free snacks! Have a wonderful 2019!! Happy New Year Ronit. 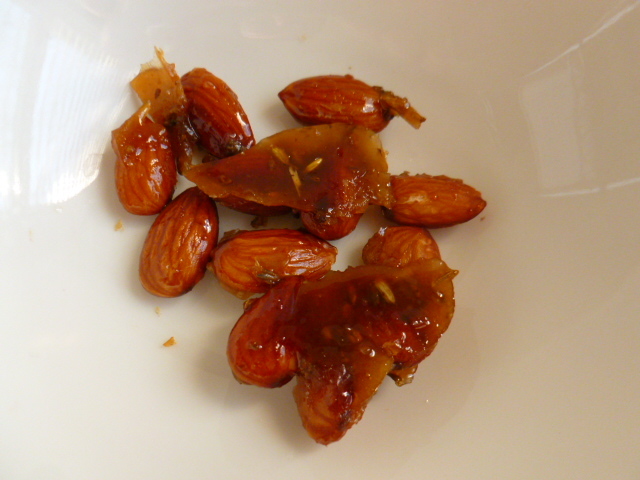 The almonds look perfect for my bottle of Port wine! Liked the seasoning!! Great way to eat them!